We all know that annual performance reviews are old fashioned and help in no way to provide critical feedback. The workplace has changed. The workforce has changed. Annual performance reviews remain the same. Is continuous feedback the solution? 74% feel in the dark about how managers and peers think they’re performing. >50% reacted to an annual performance review by looking for a new job. 82% of leaders said not providing appropriate feedback was the biggest problem to keep their teams together. Costly – Deloitte reported that 58% of HR executives considered reviews an ineffective use of supervisors’ time. In a study by the advisory service CEB, the average manager reported spending about 210 hours — close to five weeks — doing appraisals each year. Companies that set quarterly performance goals generate 31% greater returns than those that review goals annually. Those that do it monthly get even better results. Feedback from employees is essential for setting goals that have organizational buy-in and aren’t just top down. 6% of Fortune 500 companies have gotten rid of rankings and once-a-year evaluations, according to management research firm CEB. Tap My Back is an employee feedback app that provides employee engagement with real-time recognition and continuous feedback. Like so, we allow organizations to grow and learn how to give, ask and respond to feedback. Public recognition: give and receive badges in a public way so that the whole team can see who’s giving a positive contribution. 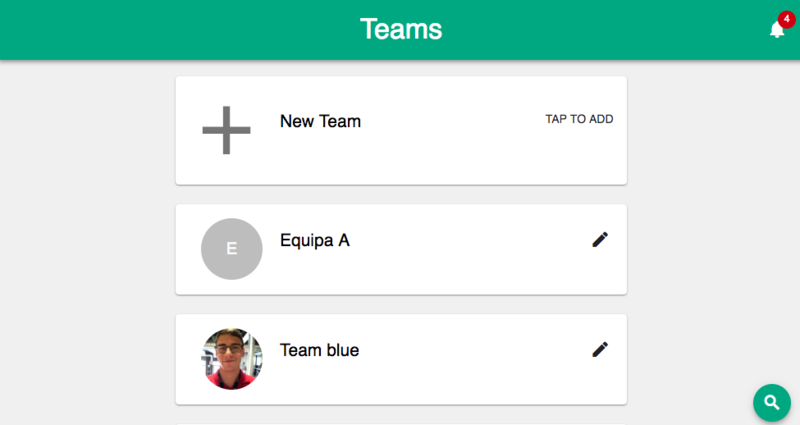 Peer evaluation: allow team members to evaluate their peers’ performance with a simple drag-and-drop interface and in a private way. How to Measure Employee Engagement and How to Use that Information? Several studies and opinion-makers emphasize the importance of measure employee engagement from different angles. In some cases, the question in order is the negative impact on talent retention and turnover of low levels of recognition and engagement of employees. In other cases, the focus is on the costs of disengagement or the benefits of engagement to business. Despite the consensus about the importance of employee engagement, how can we measure it? Measuring engagement does not necessarily depend on complex techniques and technologies. As shown by the biologist Jacob Von Uexkull, any living creature, humans included, is gifted with a system of interpretation and a set of sensors perfectly fitted to interact and give meaning to the surrounding world. By observing our co-workers postures and gestures, or by paying attention to their words or tone of voice, we are able to sense their motivation or their satisfaction levels. Yet, it is impossible to pay attention to all co-workers all the time, especially those working somewhere else. In addition, modern techniques and technologies may improve the precision of the analysis and help discover new explanations for many questions. The purpose of this article is to show how to measure engagement with digital tools and its utility. Our intent is not to establish a standard of engagement metrics, but to illustrate our experience at COmon, a marketing agency, an experience possibly useful to other organizational contexts. Our need to measure engagement popped up when we were trying to solve an internal problem. Some years ago, we were growing fast and our workplace culture was paying the price. We were too focused on delivering, and our levels of engagement were not the same as before. After some research and based on the advice of human resources specialists, we discovered that we needed to improve peer-to-peer recognition. As a company in the digital business, we decided to develop an application with social networking and gamification features to praise and evaluate colleagues in real time. Additionally, we wanted something simple, quick, effective, accurate and fun. Following these guidelines, some of the traditional practices to enhance and evaluate engagement (e.g. 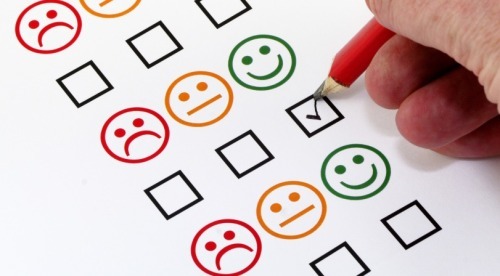 surveys or polls, or annual performance reviews) were out of the question. In alternative, we developed an integrated system that combined real-time recognition with engagement metrics. Tap My Back allows colleagues to give badges (taps) to one another and endorsing those badges (re-taps) according to their performance or attitude. This activity shows on a public news feed visible to everyone. We defined two main indicators to measure collective and individual engagement: a quantitative, i.e. an intensity indicator, and a qualitative indicator. The analysis is completed by crossing both indicators and adding the time variable. Intensity refers to the level of interaction on the application. The more badges (taps and re-taps) given and received, that is, the more the expressions of appraisal, the greater the workplace cohesion should be. We can observe intensity over time and interpret it according to the respective context. For instance, we noticed that breaks in interaction were associated to the pressure of tight deadlines, not necessarily to lack of engagement. After accomplishing the deadlines, the numbers of appraisal went back to normal. Badges define the quality of interaction. Each type of badge represents a type of recognition (i.e. value or behavior) given and received by co-workers. By crossing this information with the number of taps, we are able to relate the frequency of a certain value or behavior (e.g. knowledge share, fast and furious, a job is well done, creative thinker) to a person, a team, a department or the whole company. This analysis allows team leaders or managers to know the better individual and collective strengths and weaknesses. This represents an opportunity to improve this or that skill through training, incentives or a simple conversation. At the same time, we can measure what people value the most (i.e. the kind of behavior that co-workers reward the most). Better knowledge on teams and individuals’ values allows getting the best out them. Crossing both indicators is also useful to understand the circles of influence. In other words, individuals who receive more taps in this or that domain (i.e. different badges) are the ones who inspire the most who expresses appraisal. For us, this information is interesting but requires no particular action. In addition, each individual receives a weekly report regarding his or her «performance». By being aware of his strengths or weaknesses, individuals can be more proactive in adapting to the requirements of their professional context. The time variable allows seeing individual and collective evolution in each domain. Finally, these metrics can be compared to the course of business. So far, the results have been encouraging. We were able to increase the levels of engagement by measuring it and by acting on what needed to be improved. Bottom line, being sensitive to engagement is a good starting point to change a workplace for the better. However, it is much easier to do it if you are equipped with the right tools. Employee engagement is driven by intrinsic motivation. Certainly, money is a motivator and if your employees are not being paid enough they won’t be encouraged to work. However, once money isn’t a problem, employees will need other kinds of motivation. According to Daniel Pink, extrinsic motivators that promote a reward and punishment approach only work for tasks with a simple set of tools, a narrow focus, and a clear objective. Rewards by their nature narrow our focus and concentrate the mind. So in fact, rewards are not a good approach to reach engagement in the long term. A social experiment done with students showed that with mechanical skills, rewards worked as expected – the higher the pay, the better the performance. In contrast, with rudimentary cognitive skills, a large bonus led to poorer or even worse performance. Tasks that involve creativity, motor skills and concentration require intrinsic motivation, which is the desire to do things because they matter, or feel somehow important to us. As stated by Daniel Pink, intrinsic motivation has three elements that work as drivers to engagement: Autonomy, Mastery and Purpose. These are the elements that will help you understand how to achieve engagement within your organization – and Tap My Back can support you in conquering this. 1. What does autonomy mean? Autonomy is the urge to conduct our own lives. If managers want to create engagement, self-direction is the way to go. There are four main aspects of autonomy: time, technique, team and task. When employees have control over their time and tasks, for example, it allows them to explore creative ideas and innovative solutions. Furthermore, being flexible with working practices and having great relationships with teammates also helps with autonomy. Likewise, Tracey Maylett agrees that autonomy without trust is impossible. Ultimately, employees who make more decisions are more content and devoted to their jobs. This helps to improve retention. 2. How is mastery a motivational element? Mastery is the desire to continually improve at something that matters. This is actually what Pink considers to be the biggest motivator at work: making progress! Many social scientists argue that managers should arrange tasks that push employees out of their comfort zone. They should be neither too simple or overly exigent. When someone is motivated by mastery they will likely see their potential as being unlimited, constantly seeking to improve their skills. 3. In what way does purpose contribute to engagement? At last, the final element that contributes to work engagement is purpose, one of the most powerful. Pink describes purpose as the desire to do things in service of something larger than ourselves. People intrinsically want to do things that matter, to contribute. In that sense, feeling that you can make a difference is more important than profit maximization. According to Forbes, employees that have purpose at work are more likely to grow within the organization, to recommend the company, to stay longer, and to have strong relationships with their peers. A key factor for autonomy is trust. With Tap My Back, you can create trusting relationships between employees by establishing a real-time feedback and recognition culture. Consequently, trustworthy relations enables accountability and work autonomy. 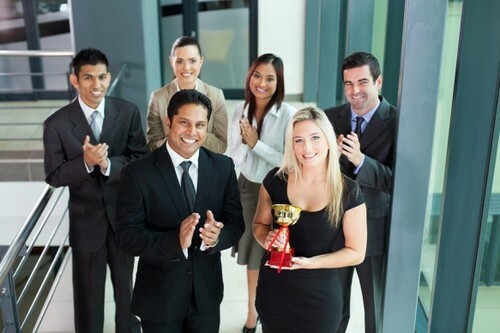 Personal achievement is highly valued by employees since it contributes to their inner drive. Having real-time feedback from managers and colleagues can trigger this because it accelerates personal growth. This is a plus when working with Tap My Back as it provides personal analytics that helps tracking new personal development opportunities. By having the company’s values, mission and goals connected with employees, managers are able to add purpose to their lives and workday. Employees need to know and understand these and appreciate how their work fits into what the organization is about. Tap My Back allows organizations to reinforce their values and make employees feel more impactful through continuous feedback and recognition. 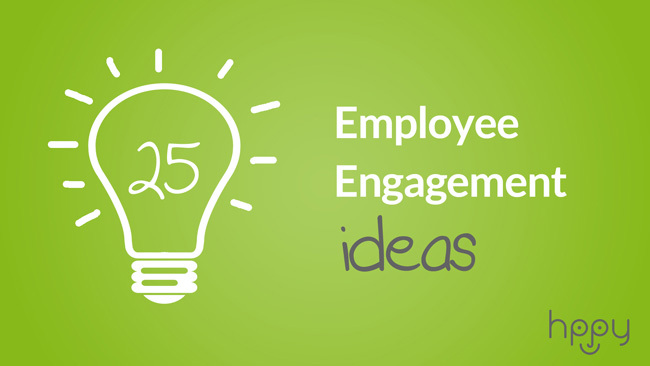 By improving employee engagement you are also able to increase retention in your organization! Boost employee engagement today by setting a free trial with Tap My Back ? 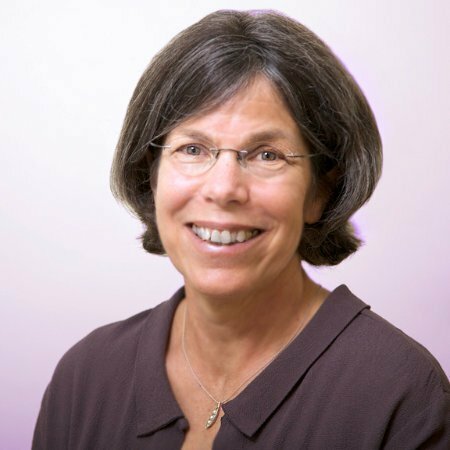 Margy Bresslour is the founder and CEO of Moving Messages, a company dedicated to encouraging the expression of appreciation, acknowledgement, recognition, and gratitude to people who make a difference to you and/or contribute to the success of your company or organization. Employee satisfaction is one of the top 3 priorities. She took the time to answer a few questions for Tap My Back that we are very glad to share with all of you. TMB: Do you remember when you started to get passionate about employee engagement and leadership? Was there a defining moment? Margy: I spent years working as an Executive Director of mentoring programs for youth at risk. At the organizations where I worked, we placed a focus on acknowledgements. Many of our youth came from dysfunctional homes where they rarely, if ever, heard a positive word about themselves. I could clearly see the difference it made to our young people when they heard an acknowledgment about their strengths and characteristics, many of which they hadn’t been aware of before. They began to grow and blossom. Shortly after leaving my job and starting my new business, I began to read about appreciation in the workplace. I found it disheartening to learn from the U.S. Department of Labor research that the number one reason people leave their jobs is because they don’t feel appreciated or valued for who they are or what they bring into the workplace. It doesn’t take much time or effort to let colleagues know you appreciate them and it makes a huge difference in how they feel about themselves and how engaged and productive they are at work. TMB: Some people say engagement is not that important as it treats employees only as mere tools for productivity and not as human beings. What do you have to say about that? Margy: Engaged employees are critical to the success of any organization. Engagement strategies won’t work if they are designed with the thought that “I’ll do this (recognize you) in exchange for an expectation of something (more productivity) from you.” The ulterior motive and the lack of sincerity will be obvious. In fact, those methods very likely will worsen the problem of disengaged employees. It’s not hard for those you deal with to pick up on your lack of sincerity or authenticity. If instead, you sincerely focus on the whole person and know that all humans want to be appreciated, valued, heard, and believe that they belong, then, you most likely will have a positive impact on engagement in your workplace. Individuals are engaged when the culture is human-centered. A human-centered culture encompasses a mission/vision that employees believe in, jobs that are challenging and fulfilling, and sincere acknowledgments for contributions made. In such a culture, individuals feel cared for, experience growth opportunities, and develop trust. Open communication leads to a culture of integrity and an environment in which employees are fully committed and engaged. Cultures based on human-centered models are a win-win for both the individual and the organization. TMB: What are the best ways to measure engagement inside a team or company? Margy: A well-crafted survey might get you the big picture and point out issues. However, the best way to interpret, and understand the results, and determine best strategies for making improvements is by speaking individually to employees. We interpret results through our frame of reference. Talking with individuals will help give voice and understanding to responses. You can learn more from conversations because you can dig deeper and ask tailored questions. TMB: A study says that 64% of all employees who quit their jobs didn’t feel recognized for their work. Should we worry? Margy: Turnover costs are expensive – advertising, interviewing, training, making up for lost work,increasing workloads, etc. It’s not just the dollar amount of replacing a good employee, it’s the toll the loss takes on the person who left and those left behind. When an employee decides to leave their workplace because they don’t feel valued, those emotions take a toll on that person who no doubt has begun to question their value. It’s a painful process. Also, those left behind often experience a loss – of that person, of the knowledge that person takes with them, of the camaraderie, of the tasks that person performed that may now be on their plate. The loss of a valuable employee takes a toll on the entire organization in terms of productivity, engagement, and the bottom line. TMB: Can you give me five simple ideas any leader of any company can use to motivate his/her staff? 1. Take time to get to know your individual staff members. Who are they? What do they enjoy doing outside of work? What makes them feel fulfilled? What motivates them to do their best? 2. Listen to their ideas and take steps to incorporate their feedback. 3. Acknowledge them for qualities and characteristics they bring into the workplace. Appreciate their good work. 4. Inquire about their longer term career goals. Help them grow and learn new skills. Help them develop a plan to reach those goals. 5. Provide them with the tools, skills, coaching they need to do their best work. Take an interest. Remove barriers to their success. 6. Make sure they are aware of the contribution the organization is making (mission and vision). Align the job they are doing to the mission. Help them to see the difference they are making through their contribution. TMB: Traditional annual performance reviews vs continuous feedback? Who wins your heart? Margy: Continuous feedback and traditional annual performance review are both important, but for different reasons. When done well, they should complement each other. It’s helpful to receive regular and frequent feedback so you know you’re on the right path and can make corrections if not. Performance evaluations at the annual review shouldn’t be a surprise if feedback is given throughout the year. Annual performance reviews are essential, too. If done well, annual performance reviews can provide the employee with wider feedback from multiple sources. Annual performance reviews can also help evaluate how each employee is doing towards achieving existing goals and can be used to establish new goals for the next year. The annual review can also help identify a career path for the future. TMB: Millennials, do they have a great impact on how managers see employee engagement? Margy: I have a hard time grouping a generation of people. I suspect there’s huge variation within a generation of people. TMB: Is public recognition really so much better than money when it comes to staff motivation? And in the long run? Margy: Each of us has a particular way that we best receive the impact of recognition, depending on how we are motivated. Some people love public recognition; others have a tremendous dislike of public displays of appreciation. For those people, public recognition does not resonate and the intention of the recognition misses the mark. Some people enjoy gifts or monetary gains or incentives. For those people the money is a sign of endorsement and a motivator. Some people are motivated by being given more challenges which is an expression of trust. All human beings want to know that they matter, that what they do and who they are matters. It’s important to understand what motivates each person if you want recognition to resonate. If you want to know more about Tap My Back, an employee engagement software, you can visit us and try it for free here. A romantic relationship would never work if you don’t give continuous feedback to your partner. 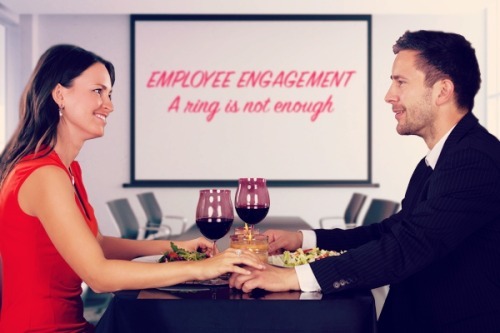 In business, like in love, the annual evaluation performance is not enough to achieve (employee) engagement, and employee recognition is key for a healthy relationship. 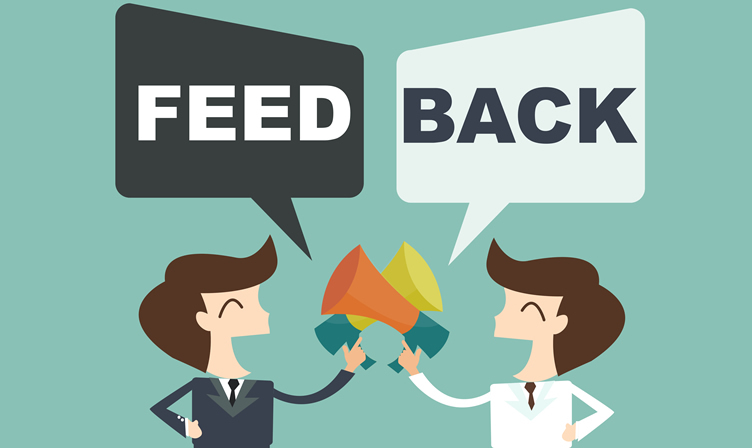 Continuous feedback within a company is also a crucial tool for productivity and for personal growth development. Tap My Back can help you with that. Peter is celebrating his 1 year anniversary with his girlfriend. For that he took her to dinner in a fancy place with candles, he dressed nicely and put some perfume. He’s in love with Susan and meeting her was the best thing that happened in his life. She is completely different from all other girlfriends he had in the past as she is smarter and more challenging. He even bought an engagement ring to finally ask her to marry him. – We need to talk Peter. – said Susan with a strange voice. – Yes, my dear, about what? – asked Peter touching her hand over the table. – Well, this is not working for me anymore. – she said removing his hand. – What do you mean? – asked Peter confused. – Well, I think I’m not in love with you anymore… – said Susan as Peter was speechless staring at his love. – … I think I need a different person in my life right now. – continued her. – Well, I don’t know yet, but I need a man with other interests. A man that treats me differently, that doesn’t call me everyday and doesn’t pull the chair or grabs my coat. A man that takes initiative to other things and brings adventure into my life. – said Susan in a cold way. – Why do you never said you didn’t like those things I do? – asked Peter. – Well, I was waiting for the right moment and I think you should’ve noticed. – How could I notice? Did you give me any signs? – Well, I frowned a couple of times. – I never guessed! All those times you seemed upset and I asked about what was bothering you and you said “Nothing, I’m fine.”? Weren’t you fine? – Of course not. You should know what you are doing wrong and what do you need to improve. – You could have told me. We could have had this conversations a long time ago, you should have given me hints during the year we were together. I would have improved and changed and tried to make it right for you. – said Peter desperately. – As I said, I was waiting for the right moment to talk with you. This would never work out, we are not a match. – she concluded. – We’ll never know. I never liked pulling the chair for you either, as many other things I just did because I thought you would enjoy them. We could have make this work for both if you decided not to wait until our year anniversary to rant about all the things you don’t like in me. I rejected a lot of other opportunities for you! I was even going to propose today! – Sorry Peter, an engagement ring is not enough and it’s not in my habits to give continuous feedback, I prefer to do only an annual evaluation and apparently you were bellow the expectations. I’m afraid we’ll have to end our partnership here. Please clear your desk at my place and leave the key. By this time you probably realized already we’re not talking only about love relationships but also business and employer/employee relationships as well. All kinds of partnerships need a commitment from both parties to keep improving and be more in sync with each other and for that, a continuous feedback is of the utmost importance. You can’t expect an employee (especially a new one) to figure everything out from him or herself. People are not machines who can read facial expressions and magically guess what they are doing wrong. People need to be guided, to be motivated to improve and excel. For that, being praised constantly, for what they are doing good, is key to keep them doing it on a daily basis. It’s not all Susan’s fault, of course. Peter should have asked for her feedback as an employee needs to ask their bosses. Ask if they are satisfied with your job and ask for hints on how to improve. Don’t be afraid to seem needy. On the other side, employers can’t be like Susan and they can’t, or shouldn’t, wait until the annual (boring) performance review to give feedback to their employees. Just ask any great leaders how they do things and how they know that continuous feedback and recognition is key for any company’s success. Continuous feedback is key for employee engagement and motivation. Employee recognition is one of the most important aspects to keep teams happy and engaged with the company, as well as keeping and retaining talent in the house. With Tap My Back you can achieve all of that and build stronger teams. This simple app software boosts your team motivation through the power of peer-to-peer recognition. When a ring is not enough, a big tap can help. Here at ComOn Group, we are very proud of our company culture. We have over 50 employees in different departments that work as one team. The company is 15 years old but has a start-up like an environment as we give privilege closeness between leadership and employees. There are no separate offices for the co-founders or management team, we all co-exist in the same open space where we can easily ask or provide help and collaborate. As a digital marketing agency, our main challenge is to keep up with the daily trends and innovations regarding internet, mobile, social media, brands and consumers. We know we can only win the challenge, every single day, with a really engaged team, and the two key factors for that are Empowerment and Recognition. For Empowerment, we’ve implemented a «Gatekeeper» concept, where everyone has the opportunity to become the «go-to-person» for new trending topics in different fields related to our core business. The gatekeeper has the mission of understanding the subject, experiment with it, and then share that knowledge. This promotes a sense of ownership, but the gatekeeper mission isn’t finished until everyone in the company is on the same page. All gatekeepers are invited to create a small workshop or crash course and call all co-workers to attend it during work hours. This creates a great environment for knowledge sharing and to break information barriers between different teams and different departments. After this phase, the gatekeeper is ready to receive another mission, on a different subject. We’ve also realized that recognition, specially peer-recognition, is a great motivational incentive to keep improving our everyday performance. So, we’ve created an app for that. With the «Tap My Back» app (www.tapmyback.com), we can give a tap on the back every time a co-worker excels at his/her job, or “just” because he or she brings great vibes to the team! The app gradually took part in our daily lives and company culture and we decided to make it available globally. You can know more about it at https://tapmyback.com and try it with your team. You can also get a brief introduction to what Tap My Back looks like, here is our promotion video where some of the functionalities are exposed. We were almost forgetting to talk about the “Cuttlefish Brotherhood”. It’s trimestrial get together where we all have a dinner party. Cuttlefish is the main delicacy of our city and we have the motto of “What happens in the Cuttlefish Brotherhood stays in the Cuttlefish Brotherhood”. In between dishes, all workers are invited to share their most personal and embarrassing stories so we can all laugh at and with each other. This strengths our bonds as a team and helps integrate new co-workers. Once again helps all of us feel part of this company! Users asked, Tap my Back delivered. Our team motivation tool now provides the option to filter recognition by project, department or any special teams your workplace may be segmented in. This means that you can simply assign your workforce to the respective team. You can set up an appropriate logo and you’re ready to go. Once it is done, you can easily recognize one entire team with a single click. You can also filter your recognition wall to check interactions concerning specific departments. No matter the size of your company, having different teams set up makes it much easier for you as a manager. Spot the best performing employees, the ones with low morale or the opinion makers. Providing a solid solution to boost team motivation and engagement on the workplace has always been the drive of Tap my Back since day one. It was the reason the product was built in the first place and keeps being the team’s sole focus on a daily basis. Whenever prioritizing the introduction of a new feature or adoption of an integration we go back to our main focus. We ask ourselves what will have a higher impact on helping managers to motivate people? The feature we just rolled outcomes directly from people. The ones that over the past years have decided to take a step further to do the most they can to empower their staff. The ones that experimented or successfully implemented Tap My Back solution. Tap My Back is mainly an employee feedback app. 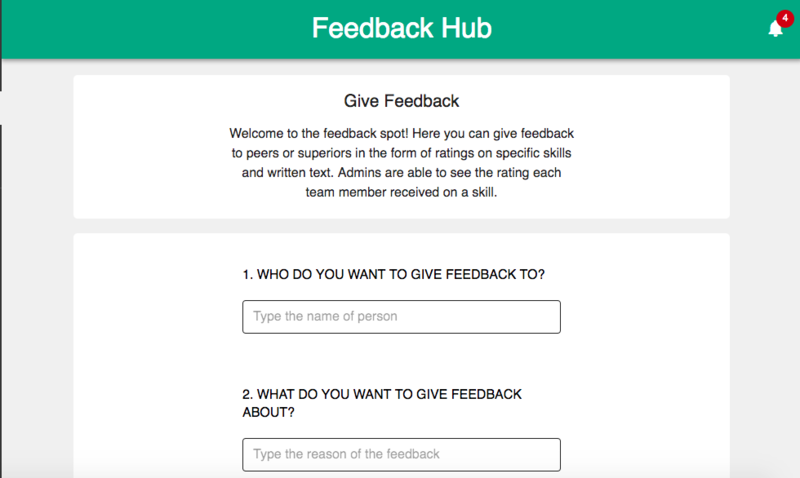 Here you can give continuous feedback to your peers and managers in a very friendly way. Feedback has an extreme importance within companies and work teams. It makes a huge difference in people’s motivation to be better. Finally, it can help the creation of an honest culture. Be receiving and giving feedback, employees feel that they are important and that people care about them, and also feel that their opinion is taken into account. These are the feelings that people who feel engaged with their company experience. If you are an employee, and you feel that there wasn’t be given feedback in a useful time for you, Tap My Back can be a solution! Apart from giving feedback, in Tap My Back you can also ask for feedback at any time to any person or team you want. Now you have no excuses to start feeling engaged with your company. If you would like to know more about how to ask for feedback, click HERE. 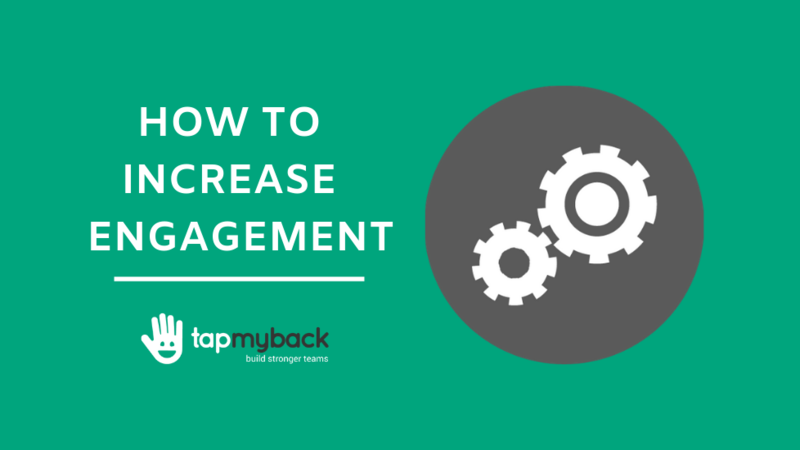 Managing people is a demanding task, therefore you should leverage the insights tools like Tap my Back may provide you. Set up your account using the multi-teams feature and enjoy the 7-day free trial offer. Managing work appreciation and motivation can be challenging, at least. 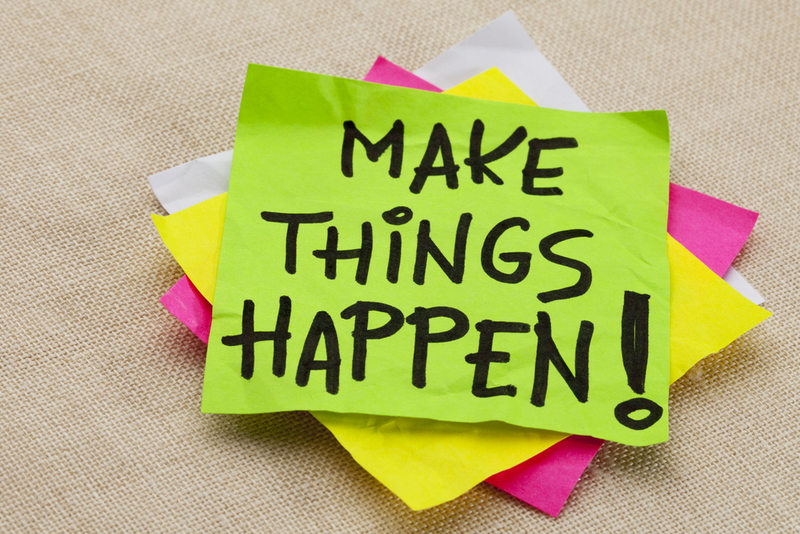 Here are 8 ways to improve your workplace and motivate your team throughout the whole year. Everyone likes free food! Some fruit, cookies or even a chocolate cake can make wonders to push your employees that extra mile. It also has the benefit of promoting team communication as all of us like to have a chat at the launch break. Let’s just hope they don’t talk with their mouth full. Does your team like to play sports? Why not have a weekly game, on a football field or tennis court, where it’s all paid? It’s cheap and very effective to motivate employees and strengthen team spirit. Not that kind of flexible. Be flexible with your demands and always listen to your employees when they ask you a favor. If he or she needs to leave an hour earlier, why not be flexible? A good team player will proactively make up for the lost time. Give, before you ask. Don’t assume they are happy. Ask! Ask how is their motivation, how are they feeling this week. What would they like to try new in the near future? If they are satisfied, your company will also be. Tap My Back has an Ask feature that allows managers and team members to ask for feedback in any format they wish to anyone in the company. Don’t forget about the daily small victories. Celebrate each goal as it was the first on the last minute. Make your team feel proud of every one of them! This way, all defeats they will encounter will be less painful. Grab a beer, go to a concert or to a football game! Every once in a while leave the office and meet the person behind every employee. Get to know them and leave the boss hat at the office. Have fun! Is your team working hard? Making extra hours or working late when they arrive home? Don’t assume it’s their obligation! Make them feel rewarded. Say “thank you” and give them a Friday afternoon. Send them home with a smile on their faces. Never reprimand publicly but always give recognition in front of the team! We all live for the applause and a public appraisal is one of the best ways to motivate employees! “You did great! Congratulations” can do a lot for your team’s motivation. Unleash the power of employee feedback and recognition to boost your staff engagement with Tap My Back. Available for Android and iOS for free. The holidays are the busiest time of year for retail outlets and staff will be rushed off their feet attending to customer queries, restocking and getting their daily duties completed. If you are on retail you can easily relate to the importance of keeping your retail staff engaged and motivated to do the best they can. In case you have staff calling in sick at this time of year will cause untold disruption to the smooth running of the store. That’s only one of the reasons why hiring reliable retail staff is so important. The ability to feel confident that they are going to show up and carry out their work. Surely that’s a given but it might not be as you will also need to be assured that the staff you hire can cope with both the busy periods in-store and ideally that they know how to utilize time periods which are quiet in-store to get prepared and make sure the store and its merchandise are looking their absolute best. Training is, of course, a necessity for new staff but ongoing training is important also for the likes of existing staff to reinforce a consistent tone and standard for the team’s work. Retaining staff is another topic that management needs to work hard on because there is simply no point in enforcing high standards of training staff if one after another they walk out the door. 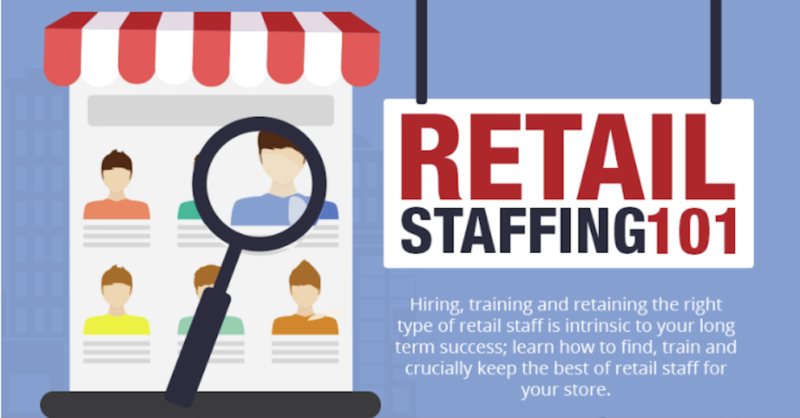 Check out this infographic from the guys at Storetraffic which details everything you need to know about retail staffing. This in relation to hiring, training and retaining talent so that you can call your staff a real dream team. There are always challenges to the hiring process, like attracting a well-qualified applicant pool; sifting through resumes without getting fatigued; asking the right questions in the interview, and figuring out who you want to hire fast so you don’t lose the candidate to another employer. These steps are sources of difficulty and frustration even for hiring managers who have spearheaded hundreds of employee screening processes. Still, your first employee is often your toughest hire. When a new business must go through the interview and hiring process for the first time, it’s difficult for two primary reasons. First, there is a learning curve for hiring. If you’ve never hired someone before, it stands to reason that you are going to run into some hurdles you didn’t expect. An employee screening program can’t work if you aren’t using an objective standard of what a “qualified employee” will look like for that position. A lot of the people you meet in interviews are going to have qualities that you like, from fascinating resumes to buckets of charm. What you need to do is figure out who is the best person for the job you are trying to fill. The only way to do that is to define the role in detail. Figure out the responsibilities the job will entail, the skills it requires, and the type of educational credentials or work history you’d like to see from your ideal candidate. This process will help you with virtually every other step of the screening process, from writing the job description to drafting interview questions to picking the right person to hire. Running background checks on all the people you hire is a core component of any employee screening process. A background check is a form of due diligence. It’s an important way to learn more about your top candidates and find out if they have any serious red flags on their records. Hiring someone without a background check is risky. It could even lead to a negligent hiring lawsuit if the person you hire attacks a customer, steals from a client, or commits a misdeed that could have been predicted with a proper background search. It’s important to understand that not all companies run background checks the same way. There is no magical “background check” button you can push to screen your candidates and find out if they have any criminal history. Instead, you will need to design a background check policy for your business. Make sure it’s thorough: most criminal history background checks start at the county level, but you may also want to incorporate state and multi-jurisdictional checks to broaden the scope. You can incorporate other types of searches such as civil history checks, driving record checks, and verification checks for work history or education. You can tweak your background check processes a bit from one job to the next. For instance, if you are hiring someone for a position that involves a lot of driving, you might incorporate the driving history check. For a desk job, having a driving record check isn’t as critical. What you shouldn’t do is change your background checks from one applicant to the next when screening candidates for the same job. You need to be consistent about how you are vetting all the applicants for a specific job. Otherwise, you could run into accusations of discrimination. If setting up a background check policy sounds complex, that’s because there are a lot of legal restrictions and standards that you need to follow. Before you map out your policy, it would be a good idea to familiarize yourself with EEOC guidance, FCRA rules, and any state laws or local ordinances that are applicable in your area. How are you going to get the word out about your job posting? From public job boards to private industry forums, and from bulletin boards in your place of business to virtual postings on social media, there are a lot of ways you can complete this part of the process. You might even engage the services of a headhunter, particularly for more specialized roles. Some of these methods are free. Others aren’t. Look at your budget and determine what you can afford. You will inevitably tweak your strategies as you move forward and figure out what works best, but you should still put in the effort to make a strong start. One of the best things you can do when t establishing your employee screening program is to recognize that your interview strategies can be fluid. Over time, your interviews are going to evolve. You are going to figure out which questions work and which ones don’t. 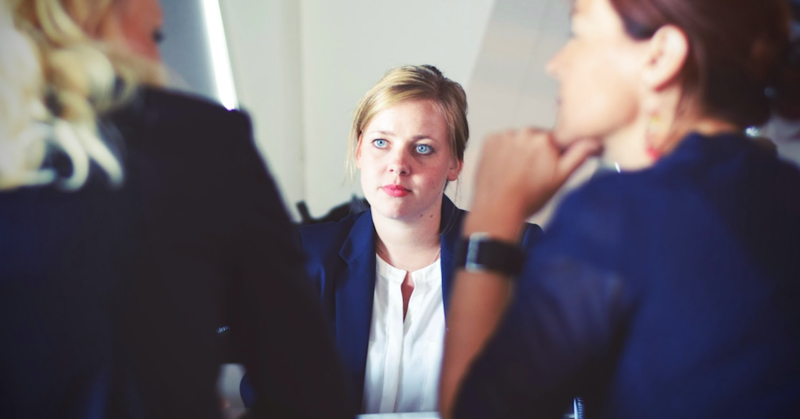 Then, you will learn how to play off interviewee responses and turn your interviews into true discussions instead of stilted, one-sided conversations. Finally, you will determine whether you need two or three tiers of interviews, or if one will do just fine. In other words, don’t put too much pressure on yourself to get it perfect for your first hiring process. Draw up a list of questions to ask based on the role you defined earlier. 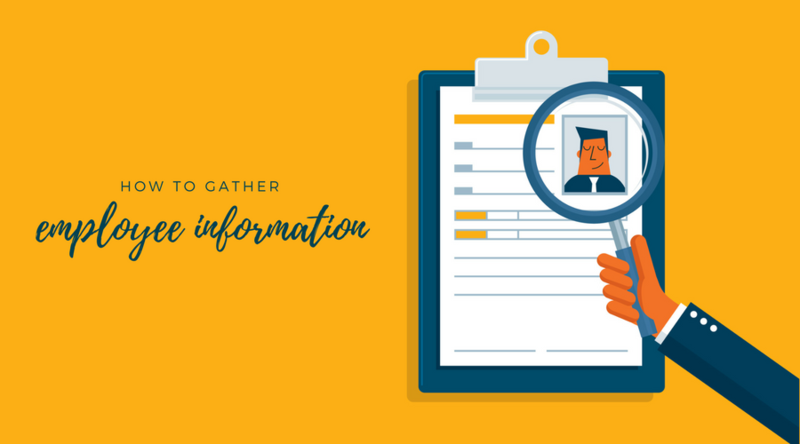 Determine what you want to know about your applicants and formulate your interview around the questions that are going to prompt that information. Finally, take notes in your interview sessions—not just about the candidates, but also about how well your interview approach is working. That way, you know what to change for your next hire. Michael Klazema has been developing products for a criminal background check and improving online customer experiences in the background screening industry since 2009. He is the lead author and editor for Backgroundchecks.com. He lives in Dallas, TX with his family and enjoys the rich culinary histories of various old and new world countries.